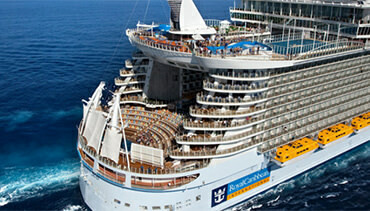 Imagination, adventure and wonder at sea. 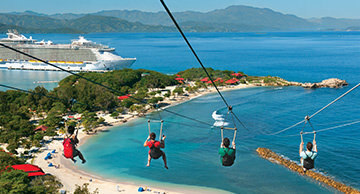 One of the most exciting providers of adventures at sea, Royal Caribbean International are at the forefront as one of the most enchanting and innovative family-friendly cruise lines. Watch your imagination come to life on the largest cruise ship at sea, the Harmony of the Seas, where you can take a rip down the tallest slide at sea, have a robot serve you a cocktail or simulate surfing on the top deck – the possibilities are endless. Royal Caribbean offers you the best vacation value around – more onboard activities, restaurants, entertainment options and experiences without emptying your wallet. Explore the world on board our innovative fleet of 25 ships, sailing to more than 250 destinations. Experience an unforgettable family adventure, corporate event or a quick getaway with friends on globe-spanning itineraries with the convenience of only unpacking once. Broadway and ice-skating shows, live music and comedy, karaoke, nightclubs and more. 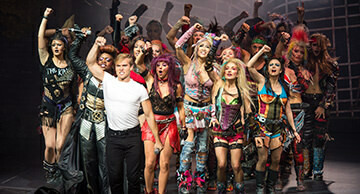 • Impressive Broadway shows and musical productions, including Grease, CATS and Mamma Mia! • Live music and comedy shows all around our ships! • Lounge games and contests, such as trivia, Puzzle Break, Battle of the Sexes and more! 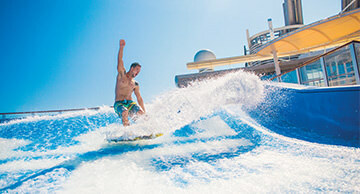 Surf, zip-line, skydive and rock climb – all without leaving the ship! • Anthem of the Seas: RipCord® by iFLY® skydiving simulator, North Star observation capsule and SeaPlex play space with bumper cars, roller skating, trapeze school, video games and more. 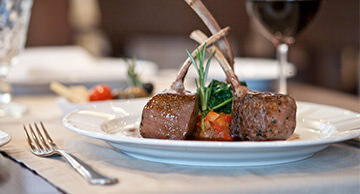 Dressed-up or casual, savour the flavour of multicourse feasts and royal service. 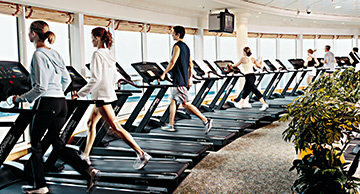 Get or stay in shape with endless sports, fitness and well-being options. Spacious staterooms for everyone from solo travellers to groups of up to 14! 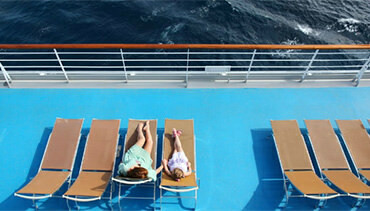 • Spacious and comfortable staterooms for the entire family — from solo travelers to groups of up to 14 guests. 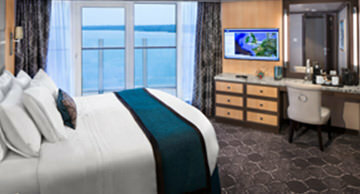 • Interior staterooms with Virtual BalconySM that will bring HD views from the outside directly into your room. 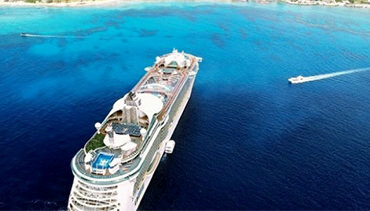 Exclusive and exotic ports-of-call with enticing shore excursions to match.